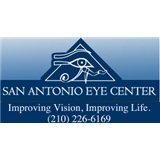 San Antonio Eye Center (San Antonio) - Book Appointment Online! Welcome to San Antonio Eye Center, P.A., one of the Alamo City's oldest and largest group of eye care specialists. Over the years our practice has worked hard to stay on the forefront of patient care and patient satisfaction. We have been fully integrated on Electronic Health Records (EHR) since 2005. We are a caring group of exceptionally well-trained San Antonio ophthalmologists who are committed to offering state-of-the-art eye care, personal, one-on-one attention and an integrated approach to healthy sight. At San Antonio Eye Center, we pride ourselves in having the best team for your family. Whether you're in need of a routine eye exam, cataract surgery, or pediatric eye care, we offer only the finest in total family care. Went right in to appointment. Spent about 20 minutes waiting for eye drops to dilate my pupils. Quick analysis and I was gone.